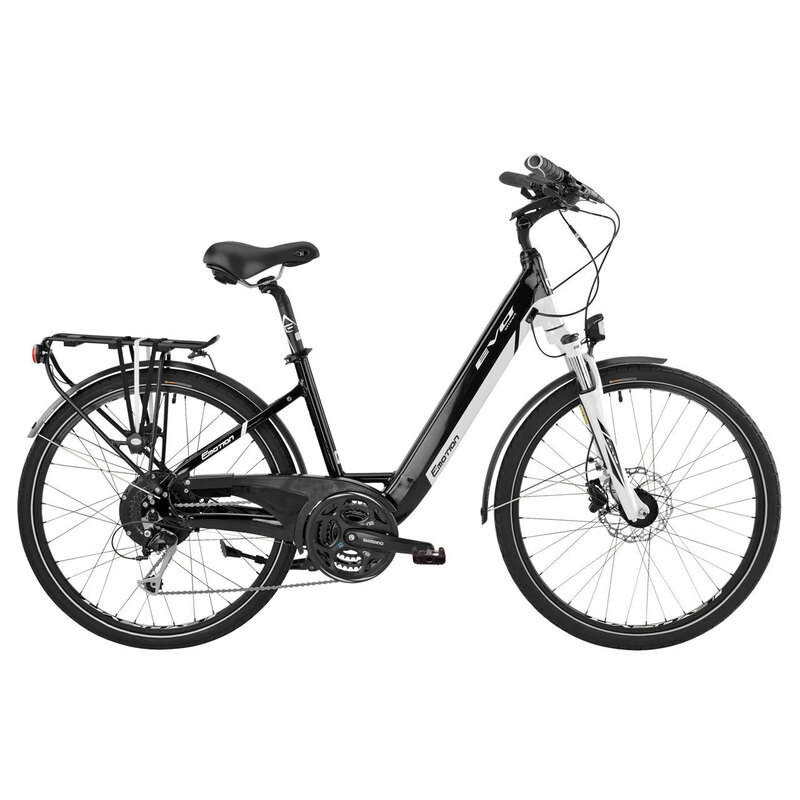 EBike. Battery still attached on down tube. No top tube. Excellent condition. Battery sleeve. Black rear rack. I locked my bike at 7:30pm on 7/11/18 to a stop sign pole in front of my building that seems very secure. Pole cemented into sidewalk. At around 9:30-10pm i heard some noise out front (yelling, machine sounds) but didn't think anything of it at the time. I suspect that was when someone got my bike. I locked the front tire and frame (down tube- bike does not have a top tube) to the pole. When I came out of my building at 7:30am on 7/12/2018 to get my bike and ride it to the train station, I saw that it was gone. Stop sign and pole totally in place.